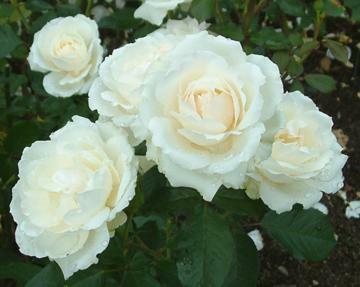 Floribunda shrub rose with prolific fully double white flowers. Repeat flowering. From Harkness Roses, introduced 1997.